Referral Rewards - $20 Off for You and a Friend! If you have visited Salon 180 for hair, nails or any of our services, we invite you to earn $20 off your next service when you refer a friend! When he/she brings in the referral card with your name and theirs, they will also earn $20 off their first service at Salon 180! 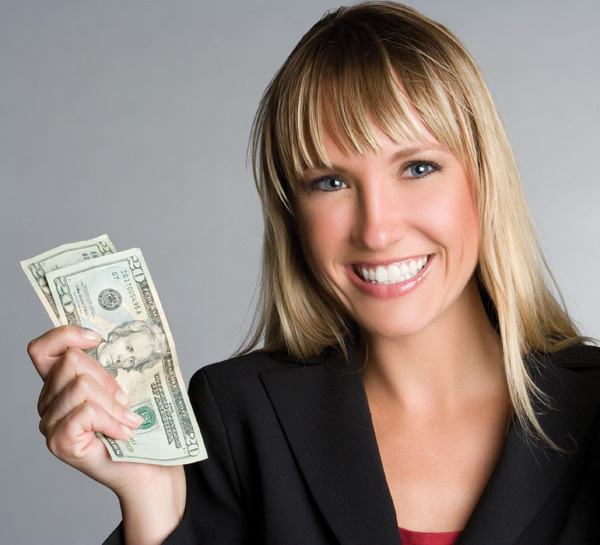 Click here to print your Referral Rewards Card and save $20! 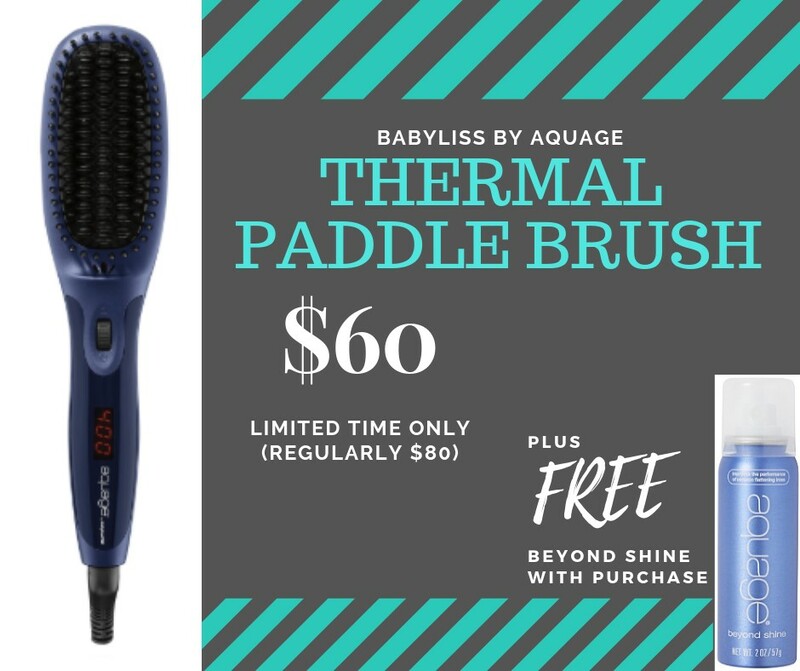 Save $20 on a Thermal Paddle Brush! Have you ever used a thermal paddle brush? Now is your chance. Titanium technology conducts high temperatures efficiently for fast heat transfer to hair, and even distribution of heat. Achieve shiny, healthy-looking results with ease. While supplies last, we're offering $20 off each brush. Plus, we'll include a FREE Beyond Shine. Hurry in - these thermal paddle brushes won't last long and they're already flying out the door! 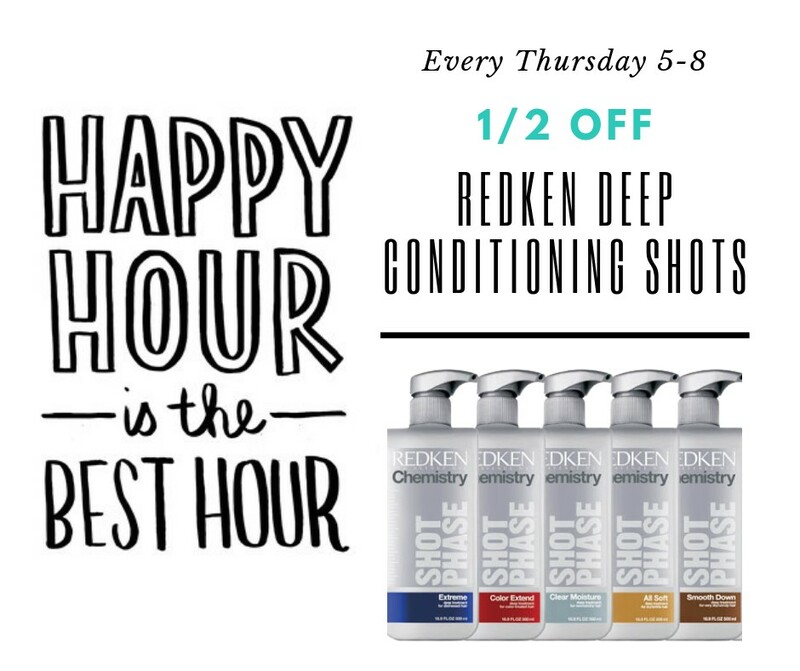 1/2 Off Redken Deep Conditioning Shots Every Thursday from 5-8pm! Is your hair in need of some serious conditioning? Visit us on Thursdays between 5-8pm and we'll treat you a conditioning shot, that will deliver intense moisture and conditioners through highly concentrated ingredients for dry and brittle hair. Mention this offer when you schedule your appointment, or ask your stylist when you're here!